Chat-bot “Gosha” automatically generates a response to the user, in response to user request on the support line. Chat-bot finds the definite service, the operation that must be performed to satisfy the user’s request and sends the appeal to the needed specialist. Depending on the accuracy of the definition of the operation, the chat-bot can immediately determine the operation, give the user a list of possible operations to choose from, or inform that it is necessary to formulate the message more accurately. The exchange of data with the OMNITRACKER system is realized. The product is implemented into OMK-Information Technologies. One of the largest Russian manufacturers of metal products for leading energy, transport and industrial companies. Details OMK is a comprehensive supplier of products for the production and transportation of gas and oil to more than 30 countries. It produces pipes for various purposes, railway wheels, sheet metal, piping fittings, pipeline fittings, springs. 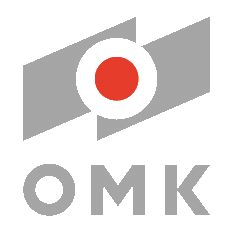 Among the main consumers of OMK products are leading Russian and foreign companies: Gazprom, Russian Railways, LUKOIL, AK Transneft, Surgutneftegaz, Rosneft, Sibur, ExxonMobil, RoyalDutch / Shell, GeneralElectric , Samsung, KamAZ, GAZ, MAZ and others.